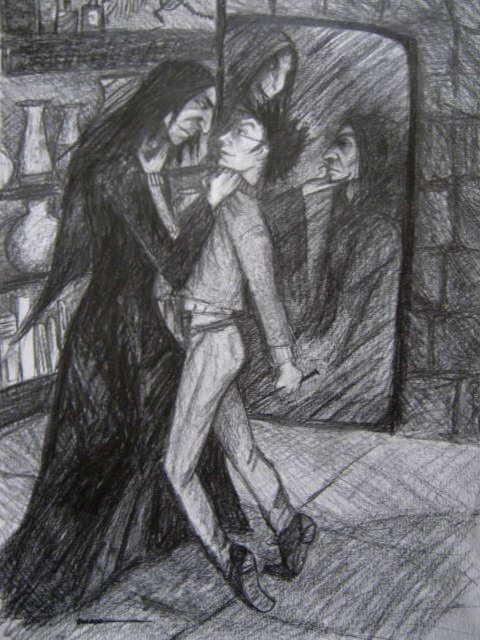 Character(s)/Pairing(s): Severus Snape, Harry Potter and Voldemort. Snarry if you squint. (Highlight to View) Warning(s): None, unless you count near accidental strangulation by shirt. Note: With thanks for the very patient and always talented cabepfir. She has the best ideas and gets legs going the right direction. Summary: Beware what lesson you are trying to impart.